The year 2009 marked a major milestone in the enterprise software universe, as the cloud took off along with the proliferation of smartphone apps technology. 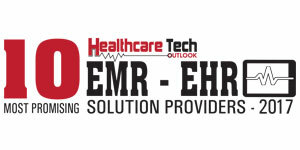 What that year also witnessed was an innovative firm slowly gripping the Electronic Health Record (EHR) landscape by leveraging the novel cloud- and apps-based technological trends. “We started Patagonia Health with a belief that we could design a better EHR,” says Ashok Mathur, CEO of Patagonia Health. But the firm had a clear uphill task in front of them. “The challenge was that there were more than 100 EHR vendors on the market, and the question was, do we need another?” mentions Mathur. What transpired over the next eight years that made Patagonia Health metamorphose into one of the fastest growing firms in America? Mathur confers all credits to the unique technology and approach that Patagonia Health employs to deliver their solution. “In a traditional EHR— be it primary care or community health—everything is displayed on the same screen, which makes it very cluttered,” affirms Mathur. Patagonia Health leverages apps technology, allowing its users to access only the apps they want at a given time, making the experience user-friendly. Mathur compares the EHR with a smartphone, pointing out that modules can be personally arranged per role, making it clutter-free and easy-to-use. Additionally, Patagonia Health’s apps can be easily customized for particular market segments, requiring simple configurations to the system. This is a value-add for community health or public health markets that provide services to the underprivileged, as Patagonia Health is an all-inclusive service provider with a particular emphasis on cost. Public health clinics have a different approach than a typical medical practice as they run programs such as immunizations, family planning, and communicable diseases which are funded by grants, state or federal funding. Patagonia Health provides various workflow apps for these healthcare providers as a specialized service based on specific needs. The results speak for themselves! A large percentage of Patagonia Health customers have dramatically increased their annual revenue by as much as 25 percent or more. The distinction of their software comes from Patagonia Health’s approach to provide a user-centered design. This offers a smooth and context-sensitive screen-to-screen navigation compared to any other traditional EHR. “We look at how the users are working in the current environment, and personalize the technology to optimally fit their workflow,” substantiates Mathur.